‘Nice girl,’ I said, for there is never any harm in giving the old salve. ‘And, of course, radiant-beauty-wise in the top ten.’ [Orlo’s] eyes bulged, at the same time flashing, as if he were on the verge of making a fiery far-to-the-left speech. ‘You know her?’ he said, and his voice was low and guttural, like that of a bulldog which has attempted to swallow a chump chop and only got it down halfway. ‘Wooster, you blasted slimy creeping crawling serpent, I might have expected this!’ It was plain that he was not glad to see me. Jeeves, I need scarcely say, had vanished like a family spectre at the crack of dawn. ‘You have to be like one of those Red Indians I used to read about in Fenimore Cooper’s books when I was a child, the fellows who never let a twig snap beneath their feet, and I’m not built for that.’ There was justice in this. I believe the old relative was sylph-like in her youth, but the years have brought with them a certain solidity, and any twig trodden on by her in the evening of her life would go off like the explosion of a gas main. I took a deep breath. It was some small comfort to feel that she was at the end of a telephone wire a mile and a half away. You can never be certain what aunts will do when at close quarters. He heaved a sigh, as if he had found a dead mouse at the bottom of his tankard. A lifetime of getting socks on the jaw from the fist of Fate has made Bertram Wooster’s face an inscrutable mask, and no-one would have suspected that I was not as calm as an oyster on the half-shell as I started out. I was surprised to discover that Aunts Aren’t Gentlemen, published in 1974, was the last Jeeves novel Wodehouse wrote. It is indistinguishable in style and quality from Thank You, Jeeves, published in 1934, and appeared no less than 72 years (sic) after his first novel, The Pothunters, in 1902. Wodehouse died in February 1975, aged 93, one month after being knighted in the New Year Honours. P.S. Do you like Wodehouse? If so, to get updates on my latest Wodehouse and other posts – including my brand-new “Right Ho, Jeeves: 14 fruity quotations” due to be published on Saturday 29 December at 1515 Vienna time – you might want to friend me on Facebook; sign up for e-mail updates (top right – see blue “click here” button); or follow me on Twitter. P.P.S I also recommend Plumtopia, a P G Wodehouse specialist and the excellent @DailyPlum on Twitter. P.P.P.S. You can explore the range of writing on this site via my five pleasure paths. 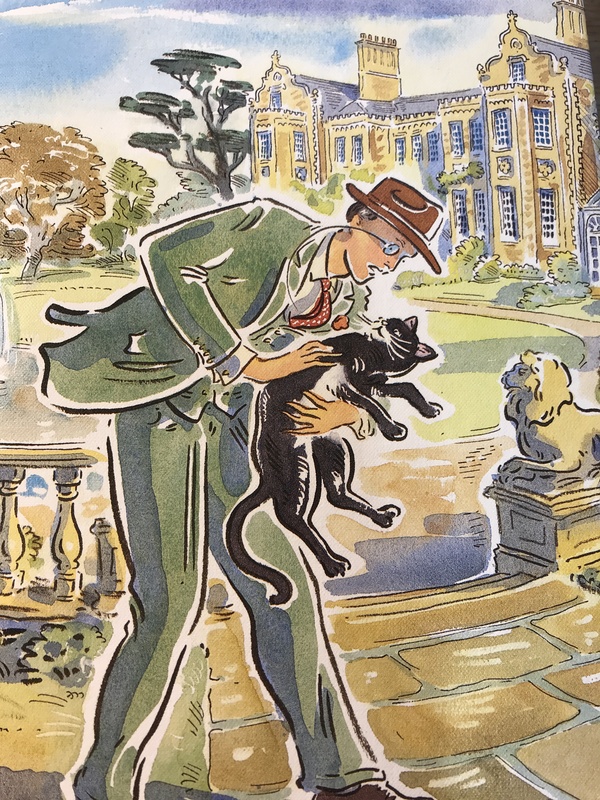 You can find all my Wodehouse blogs here. By Robert Pimm in PG Wodehouse, Reviews, Robert Pimm, Writing: about writing on 07/04/2018 . Dies ist ein Zitat aus “Thank you, Jeeves: ” I have long been desirous of canvassing his lordship of purchasing some new socks.” Die “Tanten” kenne ich leider nicht, aber die Zitate sind hinreissend. One of the unique things in this plot is the friendship between the horse and the cat!